It is the firm belief of Marwaris from Rajasthan that Rani Sati is an avatar of Maa Durga. The Marwari society of Rajasthan as well as from all other part of the country worship Rani Sati dadi daily in their houses. The history of Rani Sati starts from the time of Mahabharata. It is believed that Rani Sati was Utera, wife of Abhimanyu (son of Arjun). When Abhimanyu was killed in the battlefield, Utera decided to be Sati along with Abhimanyu’s funeral. However amidst all this Lord Krishna came to her rescue and pursued her against her decision. He also granted her wish of being married to Abhimanyu and her desire to be sati in her next life. As granted by Lord Krishna, in her next life she was born as the daughter of Gursamal in the village of Thukaye in Rajasthan. She was named – Narayani. Abhimanyu took birth in Hissar as son of Jaliram and named – Thandhan. Thandan and Narayani got married and were leading a peaceful life. He was in possession of a beautiful horse which was being eyed by the son of king of Hissar from quite some time. Thandan refused to hand over his precious horse to the king’s son. The king’s son then decides to forcefully acquire the horse and thus challenges Thandan for a combat. However Thandan fights the battle bravely and kills the King’s son instead. The enraged king thus kills Thandan in front of Narayani in the battle. Narayani symbolic to female bravery and power fights with the king and kills him. She then commanded Ranaji (the caretaker of the horse) to make immediate arrangements for her to be set a blazed along with her husband’s cremation. Ranaji playing a vital role in fulfilling her wish to be sati with her husband is then blessed by Narayani that his name will be taken and worshiped along with her name and since then she is known as Rani Sati. The Rani Sati Temple in Jhunjhunu is administered by Marwari Temple Board from Calcutta. 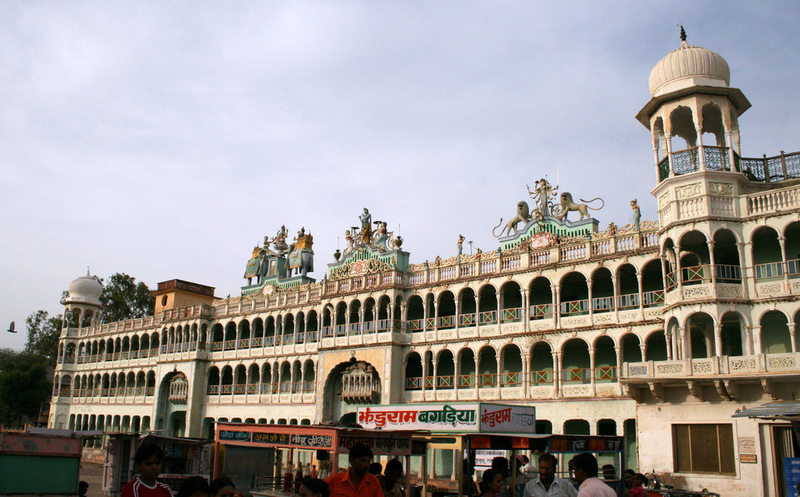 It is one of the wealthiest Temple trust in India. It is said that earning of this temple amounts little low from that of Tirupati Balaji Temple in south India. There are many organizations that have made numerous efforts for the sati puja to be banned. They perceive the practice and devotion of people to such number of Sati temples across India as the spreading and affirmation of Sati Pratha. To a certain extent it may be considered as a threat to people still living in the ancient era. However one can also not ignore the profits made by Sati Temple, through these devotees, which in turn has proved quite beneficial for the progress of natives. This Articles published here on aapnodesh.com is for education and Informational purpose. We do not support any of the old social rituals such as “Sati Pratha” which are not permitted by Indian Government. 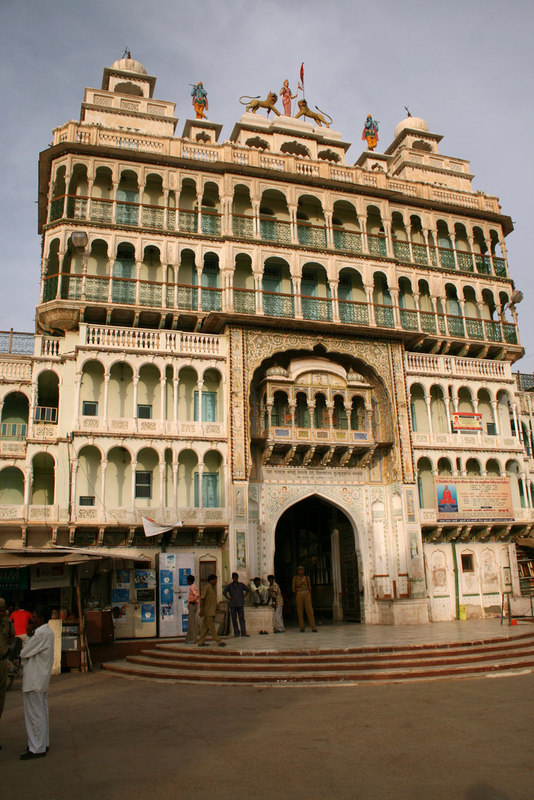 Well Jhunjhunu itself is a well known town of rajasthan and biggest trading hub of Shekhavati. To reach jhunjhunu deluxe and normal bus ply from Jaipur and Delhi at regular intervals. and there are few trains also available. Once you reach Jhunjhunu, you can easily reach Rani sati temple as it is inside city and Local conveyance is easily available. I will be creating a separate post about how to reach different places in Shekhavati, thanks for your suggestion. Your query is resolved by reply to your other comment. Well it’s hard to provide address of all mandir as Almost every district have one Rani sati temple…. Also If you can provide fact and proofs about Sri ram, Sri Krishna, Maa durga or any other I will be delighted to see them as well…. I want to know whether there is something(temple or any tourist place) to visit near by rani dadi temple in 20-30kms circle, please let me know. Myself and my family are devotees of Maa RanisatiDadi for more than 45 years and we always got our prayers answered by OUR MAHAMAMAYEE BHAKTAWATSAL MAA. I want to know about upcomming events in Rani Sati Mandir, pls provide me with dates. PLEASE TELL ME ABOUT THE ROOM FACILITY IN MANDIR.I MEAN TO SAY THAT IF SOMEBODY WANT TO STAY THERE FOR A NIGHT,THEN WHAT ARE THE ARRANGEMENTS THERE BY MANDIR TRUST? THANKS IT IS REALLY VERY BEAUTIFUL. Aap sabko Dadiji ka ashirwad prapt ho. SABI LOGO KO GUJARES H KE MAA KE DERSAN EK BAAR JARUR KARE. When mangsir navmi festival is being celebretated at rani sati mandir,jhunjhnu this year..please let me know the contact number of rani sati temple jhunjhnu. Shree Rani Satiji Mandir, is managed as a society, and carries out various philanthropic activities all year round. Mandir, has been running a Higher Secondary Girls School within its campus free of cost for the past more than 50 years, more than 1000 girls are on the rolls. There is no advance booking system for rooms, but there are plenty of them, barring a few notable occasions, finding accommodation should not be a problem. Mandir has its own Prasad Kaksh, where lunch and dinner facility is available on fixed menu. Fully operational canteen is located within the campus, hence no problem is faced by the visitors. The major functions of the Mandir are Bhadwa Amavasya and Mansir Badi Navmi. this is a very very beaiutifull temple..
Is there any pre-booking arrangement for the rooms at the temple. if so what is the procedure.